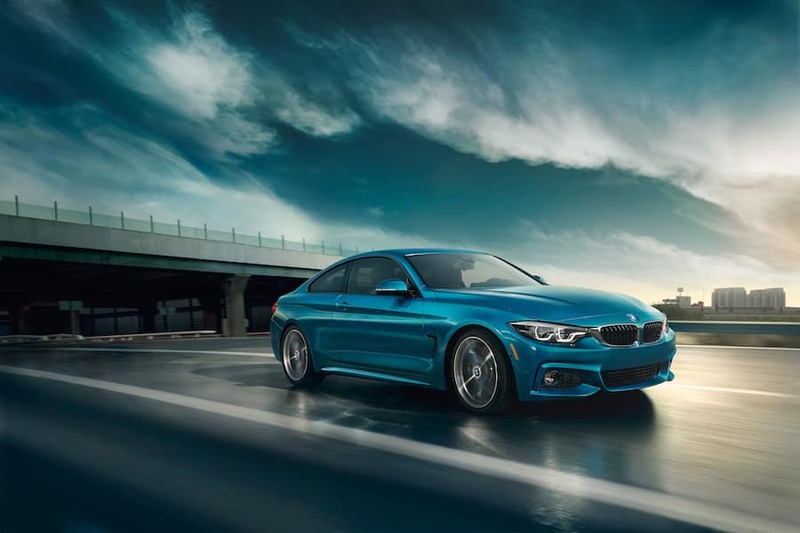 If you’re looking for a luxury car that promises to pack a punch during your regular Westchester County, Yonkers, and Hartsdale drives, the 2019 BMW 4 Series is definitely worth checking out. BMW of Westchester has put together this 4 Series review so you can get a closer look at what it’s all about. Read on to learn more. The 4 Series is equipped with the kind of muscle under the hood that has the potential to take your entire driving experience to the next level. There are two possible engines here. The standard offering is the 2.0-liter TwinPower Turbo, inline four-cylinder engine that can get up to 248 horsepower along with its 258 lb-ft of torque. The 2019 BMW 4 Series is available with the 3.0-liter TwinPower Turbo, inline six-cylinder engine that delivers a commanding 322 horsepower with 332 lb-ft of torque. The 4 Series provides you with features that are specifically designed for optimum performance. For one, there’s the standard eight-speed sport Automatic Transmission. It includes automatic Sport and Manual shift modes as well as steering-wheel-mounted paddle shifters for increased control and an intuitive performance. For even more of a customized experience, the 4 Series comes standard with Driving Dynamics Control that includes ECO PRO, COMFORT, SPORT, and SPORT+ settings. 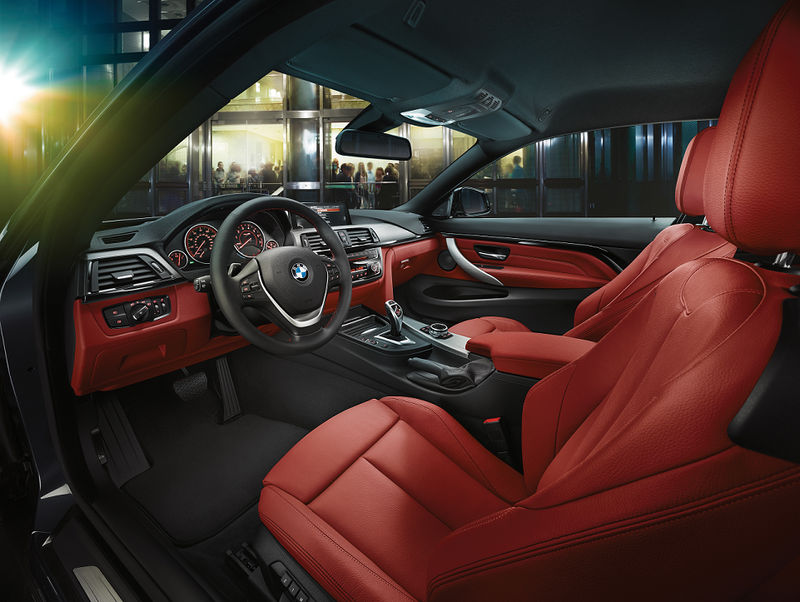 The BMW 4 Series supplies you and your passengers with ample room to really move around, stretch out, and get comfortable during your drives. The specs that bring this out the most are the measurements for headroom, shoulder room, and legroom for each row. In the front, you and your front seat passenger get to enjoy 39.8 inches when it comes to headroom, 55.3 inches for shoulder room, and 42.2 inches of legroom space. The folks in the backseat get it just as nice as their headroom measures are 39.8 inches, their shoulder room fills up 51.7 inches, and the legroom comes to 33.7 inches. Wherever you look in the BMW 4 Series, you’re bound to find something that’s designed to help enhance the drive. One great example of this is the standard 3-spoke, leather-wrapped, multi-function sport steering wheel. It includes controls for easy access to the audio system, cruise control, and Bluetooth® wireless communication for your hands-free mobile phone. Also standard in the 2019 BMW 4 Series are the power-folding heated side mirrors, LED headlights, and LED fog lights for ideal visibility. Finally, the 4 Series comes standard with BMW Remote Services. These handy aides include Stolen Vehicle Recovery, Remote Door Unlock, and the BMW Connected App. As you can see, the 2019 BMW 4 Series has the potential to contribute a lot to your daily Westchester County, Yonkers, and Hartsdale commutes. If you’d like to see these features and capabilities in person as well as find out what else it has in store, visit or contact BMW of Westchester to schedule a test drive and get started.